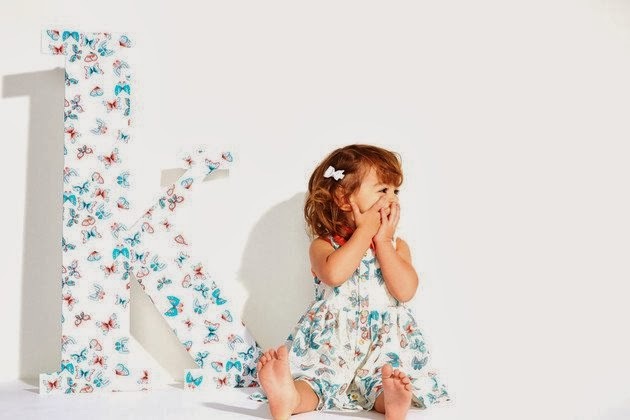 The Kardashian sisters are expanding their fashion empire to the kiddie department - and the collection is KUTE with a capital "K"! It will be exclusively available at Babies “R” Us, and features everything from butterfly-print pinafores and matching bloomers, to snuggly newborn caps and cozy receiving blankets. The girls line will debut on March 15, with sizes going up to 24 months, and affordably priced from $15 to $30. I for one, can't wait to see what else this kids line has to offer! Get a sneak peek below. Now I am going to have to go have a baby. And I need to make sure it's a girl. These clothes are just too cha cha for words! I love them!